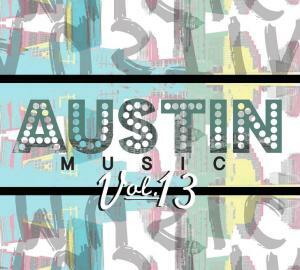 Austin Music, Volume 13 is the latest music compilation from the Live Music Capital of the World®. The 15-song compilation CD serves as just a glimpse to Austin&apos;s diverse music scene and the music that can be found in Austin on any given night in the city&apos;s more than 250 live music venues. Available in our online store, at our Visitor Center, 602 E. Fourth St., and Waterloo Records. The Shinyribs are all about having the best time possible. Their music is a variation of swamp boogie, and blends hints of country-soul, swamp-funk and tickle. With a sound that harkens back to a bygone era, Jazz Mills creates unique 21st century indie tunes. This Texas-based songwriter and vocalist has the voice of an angel and the style reminiscent of the 60s. "Music to scorch the leather off your pants with" is how The True Believers describe themselves. This band that began in the 1980s is still rocking the stage with their mix of fiery tunes and eclectic songwriting drawn from their shared Tex-Mex heritage. Christopher Denny has a voice that will stop you in your tracks. He has a gift for infusing simple words with raw sentiment and marrying them to haunting melodies that immediately capture your attention. Currently wrapping up a new record, Sons of Fathers&apos; have been brandishing their progressive Americana, roots-rock and gospel influenced sound around the country. Sons of Fathers have a great sound nodding both to their roots and a modern songwriting sensibility. Elias Haslanger Dr. James Polk, Jake Langley, Scott Laningham, and Daniel Durham are Church on Monday, named for their Monday night residency at the Gallery above the Continental Club. Church on Monday is a band that delivers a classic jazz performance with energy and enthusiasm that electrifies any audience. A mix of blues, soul and spirit, this band is pure groove. With retro soul, a Motown vibe and a contemporary twist, along with LaTasha&apos;s soulful voice, LaTasha Lee & The Black Tiesmusic cuts cleanly and crisply through the genre clutter with a groove that slices directly to the heart with honest power. This is music with teeth, heart and soul. The Nightowls is a 10-piece soul band from Austin, Texas. Formed in the fall of 2011, The Nightowls have since garnered accolades and praise for their unique blend of vintage and modern soul music, combined with high-energy, foot-stomping live performances. Money Chicha is Austin&apos;s first chicha group, incorporating the psychedelic sounds of guitars, fuzz, and reverb with heavy percussion. Their music is an homage to the musical and cultural movement known as Chicha, named for Peru&apos;s indigenous national beverage, and which explored the themes of latin culture, psychedelia and indigenous melodies in the flower power era of the 60s and 70s. Rock meets emotion in the roaring sounds of A. Sinclair&apos;s music. Formerly known as Frank Smith, A. Sinclair has a new name and a new attitude. Singing about everyday life and trying to navigate the real world, Sinclair slaps you in the face with music that is big and loud and soft and quiet all at once. Coming off of their win for Best U18 (Under 18) Band in 2013, Residual Kid is awash with equal parts high-end jangly guitars and chunky distortion. Beneath the layers of fuzz lay three ace-players who embrace their influences while putting their own stamp on the grungy delivery of fuzzy guitars, driving beats, and catchy melodic hooks. Residual Kid is post-modern grunge. Megafauna sounds like Queens of Stone Age meets Bjork. The band&apos;s intense live shows summon prog-rock flash, alt-rock iconoclasm, pithy power-pop, and raw garage energy. Shredding a hook-laden path that&apos;s equal parts weird and magical, Megafauna is the thinking woman&apos;s hard rock. As founders of Euphoria Fest (formerly Austin Psych Fest), The Black Angels have solidified themselves as the undisputed avatars of contemporary psychedelic rock, simultaneously exalting the genre&apos;s kaleidoscopic past as they thrust it further into the future. Be sure to check out their ACL taping in season 39 of the show. A trio of suit wearing whiskey-drinking men,Mrs. Glass serves up amplified, gritty blues and soul ballads. They call it ‘Romance music&apos; but you will call it electric and powerful.